What it is: Microsoft released a smaller, cheaper version of the Surface tablet. At one time, netbooks were popular since they were small, light, and cheap. They were also slow and under powered due to weak processors, which made them a compromise solution where their only advantage was their diminutive size. Because netbooks were a step backwards in terms of features and powers compared to regular laptops, they ere easily dumped when Apple introduced the iPad. In comparison to netbooks, the iPad was also light and relatively inexpensive compared to a laptop. The huge difference was that the iPad was designed to grow and improve while the netbook was designed to use older generation technology to keep down costs. Not surprisingly, the iPad essentially killed the netbook market. Then Google introduced inexpensive, maintenance-free Chromebooks and these helped kill the iPad in the education market where schools care more about costs and maintenance. 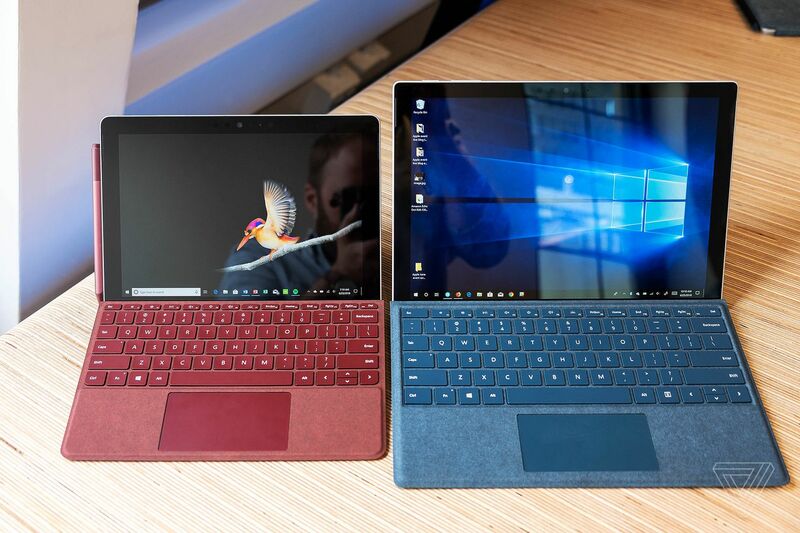 chrome books have also helped kill sales of Windows laptops too so that’s why Microsoft has decided to compete by offering the $399 Surface Go, a smaller Surface tablet with a weaker processor as well. Essentially the Surface Go is trying to compete with the iPad and Chromebook. If you want a tablet, the iPad is the best solution. Even Android tablets pale in comparison. If you want an inexpensive laptop, Chromebooks are still cheaper and easier to maintain for organizations like schools. Only if you want to run Windows programs on an inexpensive laptop will the Surface Go appeal to you. For people looking for a light, low-cost Windows laptop, the Surface Go may be perfect. It’s still going backwards in terms of processor power but it doesn’t sacrifice much else besides a smaller screen in return for a lower price. The big question is will the Surface Go become popular? Probably not because it’s geared towards people who want to run Windows programs, and many people are learning they don’t need Windows. They can use Chromebooks and access basic computing tasks like word processing and email, or they can get an iPad to do similar basic computing tasks. For those who absolutely need Windows compatibility, the Surface Go is fine, but it basically lets you run common computing tasks using Windows programs. Since you can do common computing tasks on a Chromebook or iPad, there’s little incentive to use an Surface Pro unless you absolutely have to use Windows. The Surface Go may be a decent product, but it alone can’t reverse the general trend away from dependence on Windows. If you absolutely need Windows compatibility, then get a Surface Go. For everyone else, a Chromebook, an iPad, or even a smartphone may still be all anyone needs. To read more about Microsoft’s Surface Go, click here.